1. 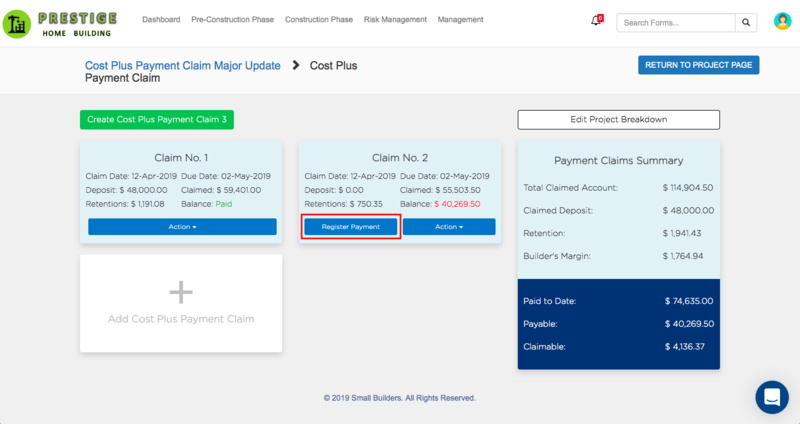 Click View on the Cost Plus Payment Claim tile. 2. On the Payment Claim Dashboard, click on the Register Payment button on the claim that you want to register payments to. 3. 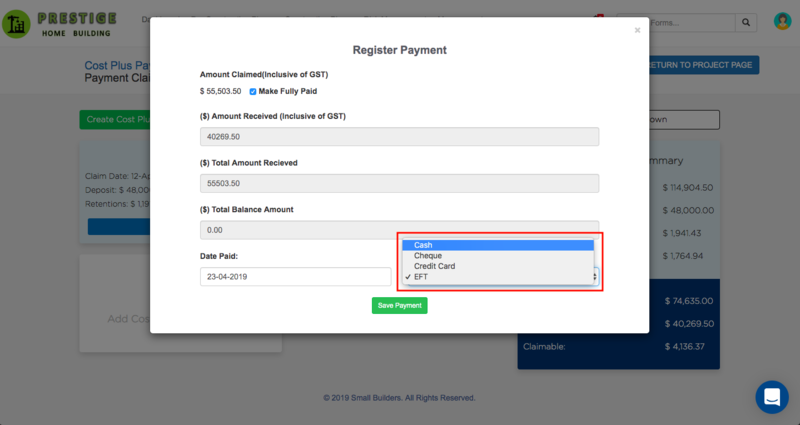 Add part payments on the Amount Received field. 4. Tick the box to register full payment. 5. 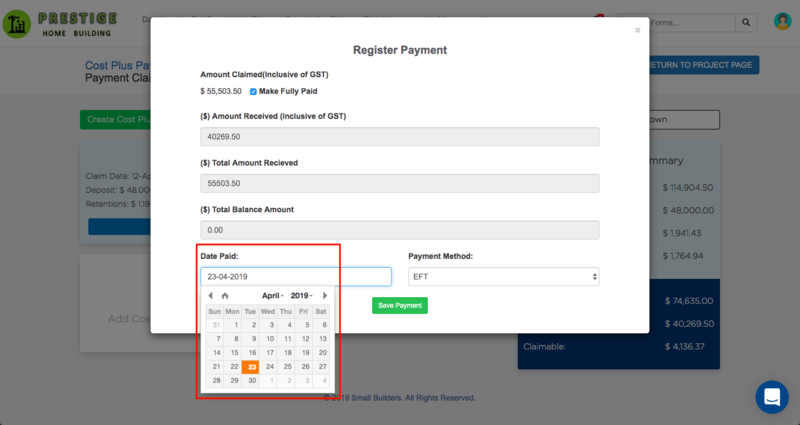 To update the Date Paid, click on the Date Paid calendar menu then select a different date. 6. To update the Payment Method, click on the Payment Method dropdown button then select a different payment method. 7. Hit Save Payment once you're done. 8. To cancel transaction, close the form by hitting Close button. 9. 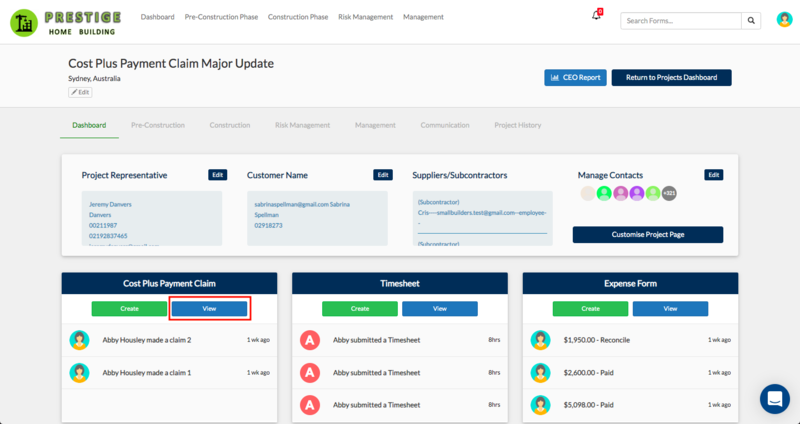 From your navigation bar, go to Construction Phase > Payment Claims > Payment Register or search Payment Register through the search bar. 10. 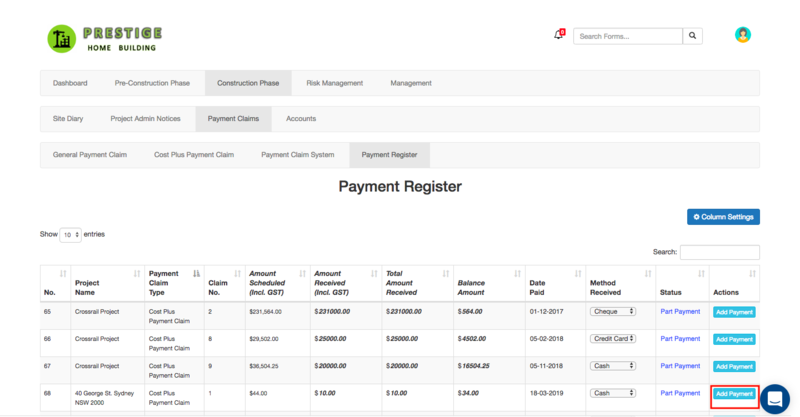 On the Payment Register table, find the claim that you want to register your payments to. You can use the search bar. 11. Click Update, add your payments under the Amount Received column then hit Save. 12. Add Date Paid and Payment Method directly on the table. 13. 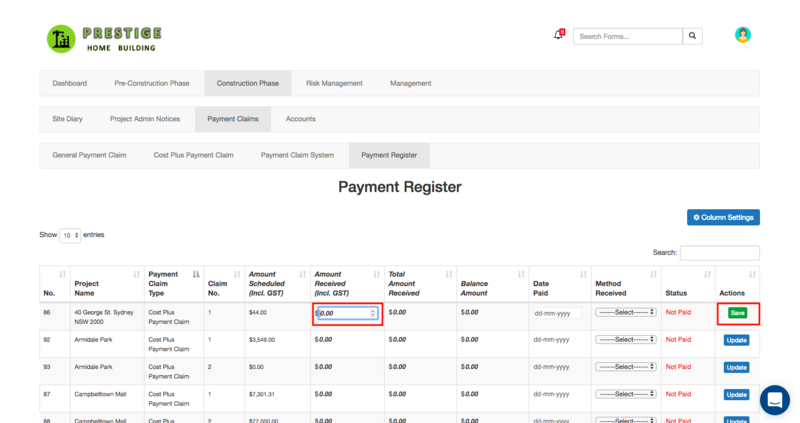 For partly paid claims, click on the Add Payment button to register payments.